A grandmother and her granddaughter were killed when their car was t-boned by a speeding vehicle in Texas on Sunday night. 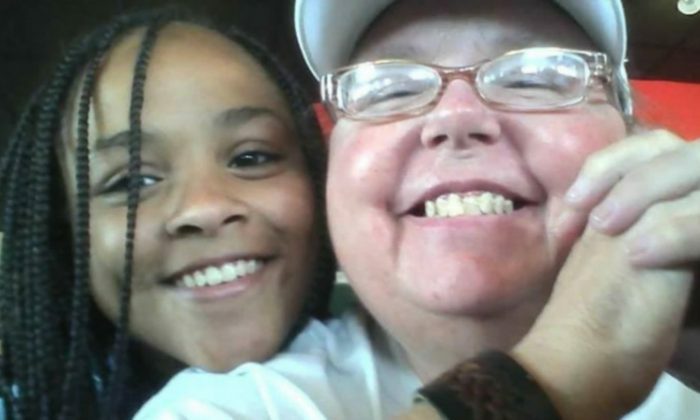 Tamra Kindred, 59, died at the scene and her 16-year-old granddaughter Aujuni Anderson died on her way to the hospital, KIII TV reported. Police identified the driver of the other vehicle as Josua DelBosque, 29. Authorities said that speed and alcohol may have been a factor in the crash. According to Kindred’s daughter, DelBosque was speeding and ran a red light before crashing into Kindred’s car. Footage from local media shows a car on its roof resting on top of a row of bushes more than a dozen feet from the road. Police cruisers, ambulances, and fire trucks swarmed the intersection of Kostoryz Road and SPID in Corpus Christi after the 11:20 p.m. crash. Kindred’s daughter and Anderson’s aunt, Jenn Kindred, shared the heartbreaking aftermath of the crash on a GoFundMe page she set up for funeral expenses. Aujuni played piano and guitar, wrote songs, liked photography and was “extremely talented and kindhearted,” Kindred wrote. Tamra Kindred recently went back to school and received a bachelor’s degree in accounting, according to her daughter. “Our sweet innocent mother, who couldn’t hurt a fly even if she tried will never get to see her grandbabies grow up,” Kindred wrote. She also recently started to go to church and was scheduled to have bariatric surgery. Kindred’s daughters Elizabeth Tamay Anderson and Jenn Kindred are collecting funds for the funeral and plan to raise awareness for safe driving.